When it comes to paying sales reps, the jan/san distribution industry just doesn’t change. 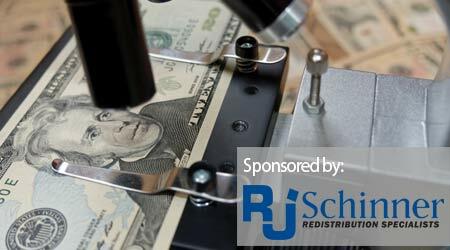 Sanitary Maintenance recently surveyed more than 200 jan/san distributors about their pay structures and motivation tactics for the “2018 Sales Rep Compensation Survey,” sponsored by RJ Schinner. Comparing 2018 data to survey results from two and four years ago shows few differences. Distributors know what they like and stick with it. Straight commission remains the most popular way to pay veteran sales reps and the number of distributors paying this way has only increased since 2014. The average commission is still 26 to 35 percent, but the number of distributors paying this amount is a substantial increase from two and four years ago. For those distributors paying their veteran salespeople a salary, an amount between $75,000 and $100,000 still makes up the majority as it was two years ago. However, in 2014, most veteran reps made only between $50,000 and $65,000, so distributors have been willing to reward their salespeople with salary increases. There has been essentially no change when it comes to paying new or inexperienced sales reps. Instead of just offering straight salary, the majority of distributors find it best to offer a commission incentive on top of a base salary. That salary is still between $25,000 and $40,000 as it was both two and four years ago. Though, the number of distributors offering a higher salary of an amount between $40,000 and $50,000 has increased from 2014. Cash is still king as a motivator. Monetary rewards always heavily outweigh non-monetary incentives, according to this survey. As for specific incentives, sales goals and cash bonuses are still the top two motivators as they were in 2016. However, sales goals were only the third most popular incentive just four years ago. It has risen substantially as a motivator. Meeting sales goals is a measure of success and those failing to achieve goals are broadcasting their inefficiencies to management.